A Moment iPhone case and lens. Photo courtesy of Moment. Smartphone cameras just keep getting better and better. Make the most of them with the right accessories and you'll think twice about lugging around your DSLR every time you travel. Do you really need a heavy-duty DSLR to take beautiful photos while traveling? If you shoot commercially, the answer is most likely a yes. But if your main concern is posting pretty snapshots to social media, consider relying on your smartphone's camera. It's lightweight, inconspicuous, and packed with impressive technology. 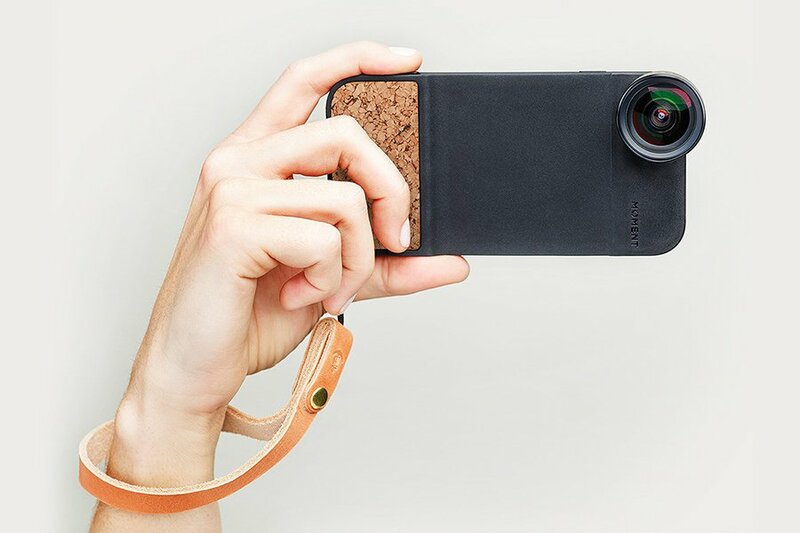 Add on a few fun accessories and you have an imaging system that'll keep pace with the most Instagram-worthy of lifestyles. No shlepping involved. A telephoto lens. Photo courtesy of Moment. A line-up of pro lenses. Photo courtesy of Pixter. A serious camera upgrade. Photo courtesy of DxO. The ProShot interface. Photo courtesy of Rise Up Games. Let there be light. Photo courtesy of Photojojo. Storage expander. Photo courtesy of SanDisk. Old-school sharing. Photo courtesy of Polaroid.